- Black Maca root powder is very nutritious, and is a great source of several important vitamins and minerals. Black Maca Powder is strongest maca powder compared to Yellow & Red Maca root powder. 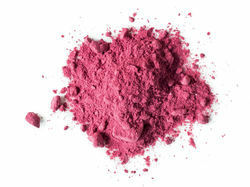 We are a reputed name in the industry, devoted towards offering the best quality array of Beetroot Powder. Beet roots are a healthy food and are a rich source of natural sugar along with containing sodium, potassium, phosphorus, chlorine, iodine, iron and various important vitamins. The powder can be used to flavor carrot, celery, and other vegetable juices, and also to color a variety of foods. We offer our customers with best quality Dried Beet Root Powder that are rich in taste and flavor. 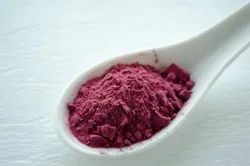 We offer these Dried Beet Root Powderin various specifications and ensure the packaging is done in an effective manner to avoid wastage during transportation. The range is available in dried form and also packed under hygiene conditions so that they are free from moisture.